It’s official! 4 books this week! The Pierced Heart by Lynn Shepherd – I received this as an e-book from the publisher via Netgalley. It is the fourth in a series and I look forward to reading the others. This book was inspired by Dracula, so it is very dark and gothic. I enjoy historical mystery, so this was right up my alley. There is a cliffhanger at the end that makes me excited to read the next book. I both hate and love when an author does that. You’re drawn into the story, but you have to wait such a long time to get the next book. Overall, I would give this 4 stars. 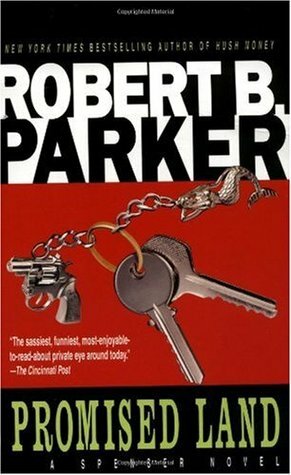 Promised Land by Robert B. Parker – This book I borrowed as an audibook from the Norwood Library. Have you tried this? You download the overdrive app, set your library preferences, and download items directly to your smartphone. It’s excellent. So anyway…. this book is the fourth in the Spenser series, first published in 1976. I have been downloading these periodically for some time. Of course, being neurotic, I have to listen to them in order. The best thing about this series is that the action is based in Boston, mostly, with occasional adventures in other parts of Massachusetts. I know exactly what road he’s on and where he’s going. I don’t think it would detract from the story if that wasn’t the case, but I find it more enjoyable. I originally started reading these because Dennis Lehane listed Robert B. Parker as an influence. I figured if Dennis Lehane likes these, there must be something sort of great about them. This particular installment wasn’t overly exciting. It was funny and there was drama and intrigue. I definitely enjoyed it. The other best thing about these novels is that they’re incredibly short. Even if you hate it, it’s over so quickly that you probably wouldn’t notice. This gets a solid 3 stars. Midnight Crossroad by Charlaine Harris – I borrowed the kindle version of this from the Boston Public Library. I had to wait on hold for about a month until it was my turn, but it was totally worth it. I heard that the author was bringing back some of her minor characters in order to do a new series. Then I heard that Manfred was one of them and I immediately decided that I had to read this. I had no idea that Bobo was one of the other characters. I love Bobo. I might be a superfan. You can definitely read this book without reading any of the other series in which the characters originally appear, though I think it might be helpful to read the Shakespeare series because there are plot points that originate in the fifth book. I really enjoyed this and I look forward to seeing where she goes with this. It’s a mystery novel and there is a vampire, a witch, and a psychic. How could you go wrong there? This gets a solid 3 stars. 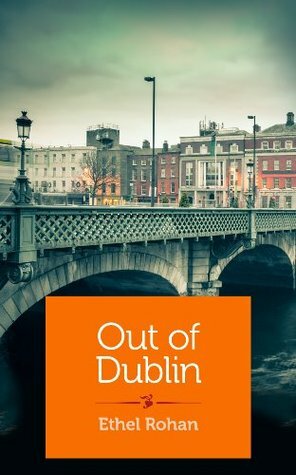 Out of Dublin by Ethel Rohan – I received this from the publisher via Netgalley. This was such a fast read. I blinked once or twice and I was done. This is a memoir written by an author who is dealing with the death of her parents. I enjoyed it and the writing was superb. I did not feel deeply involved in the story, perhaps because I have not been in a similar situation. Overall, I would give this 3 stars. This entry was posted in What I Read and tagged Robert B. Parker. Bookmark the permalink.